Seattle Opera’s stellar Young Artists will be celebrating the bicentennial of one of opera’s greatest composers next month. 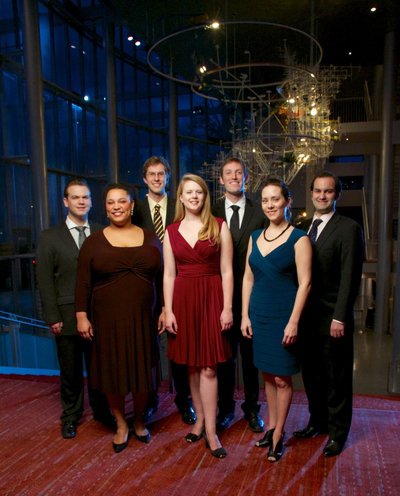 We hope you’ll join us for “Viva Verdi!,” a one-night only concert, April 6, 2013, at University of Washington’s Meany Hall, featuring selections, scenes, and acts from beloved Verdi operas. Our seven Young Artists this season, plus the Seattle Opera Chorus and the Seattle Opera Young Artists Program Orchestra conducted by Young Artists Music Director Brian Garman, will honor Verdi with a terrific program: the first act of La traviata, the Overture to La forza del destino (and Preziosilla’s “Rat-a-plan” aria with chorus), the Garden Scene from Don Carlo, “Va, pensiero” and Fenena’s aria from Nabucco, and the final act of Rigoletto. Tickets are on sale now at our website. This season’s Young Artists are baritone Hunter Enoch, conductor Christopher Lade, soprano Sarah Larsen, tenor Theo Lebow, mezzo-soprano Deborah Nansteel, soprano Dana Pundt, and bass-baritone Matthew Scollin. Last fall, they toured Washington State with a production of Verdi’s early comedy King for a Day (Un giorno di regno). The Seattle performance, at Benaroya Hall’s Nordstrom Recital Hall on November 17, sold out. Several Young Artists and Young Artist Alumni have also displayed their talents on Seattle Opera’s mainstage this season: Theo Lebow and Matthew Scollin made debuts in October as the First and Second Prisoners in Fidelio, while Dana Pundt and Sarah Larsen had the audience in stitches as Cinderella’s sisters Clorinda and Tisbe in La Cenerentola in January. In May, Larsen and Pundt return as 1st Tourière and Suor Genovieffa in Seattle Opera’s Suor Angelica, while Nansteel makes her debut as the Nursing Sister. Young Artist Alumni have also contributed mightily to the success of recent operas: Anya Matanovič was a terrific Marzelline in Fidelio, and in La Bohème, Andrew Garland sang Schaunard and Michael Todd Simpson returned as Marcello. Marcy Stonikas, who sang the title roles in Turandot and Fidelio this season and who stars in next season’s The Consul, just won a prestigious award from the George London Foundation for Singers. Without Giuseppe Verdi, the art form of opera as we now know it is hard to imagine. Seattle Opera came into being following a magnificent performance of Verdi’s great opera Aida, at the 1962 World’s Fair (a performance which inaugurated the old Seattle Opera House). We’ve since presented Aida five times. Other Verdi operas which have been popular in Seattle over the last fifty years are Rigoletto (six productions), La traviata (six productions), Il trovatore (six productions), Otello and Falstaff (three productions each), and Un ballo in maschera, La forza del destino, Don Carlo, and Macbeth (two productions each). Last season, we heard Verdi’s Attila for the first time, and this year explored Un giorno di regno; we hope someday to present more Verdi masterpieces for our public. 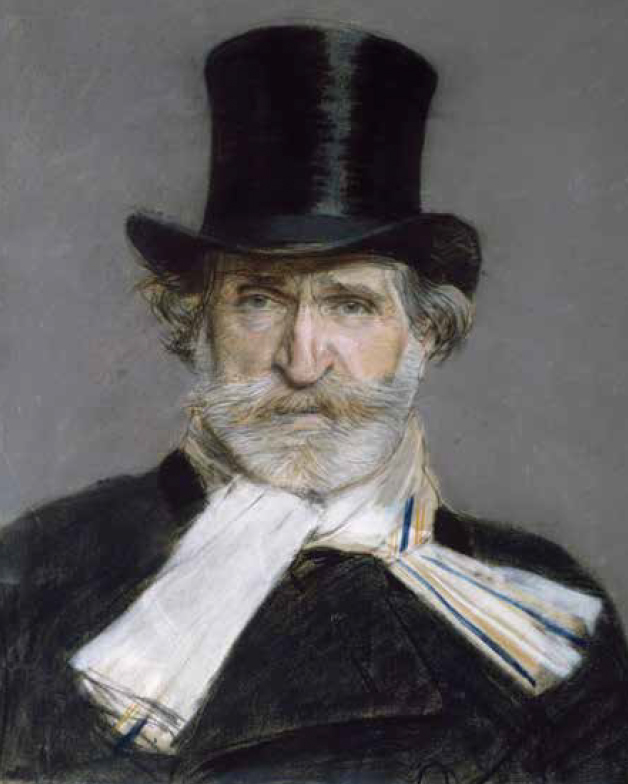 To learn more about Verdi, look through our online Spotlight Guide from 2009/10.